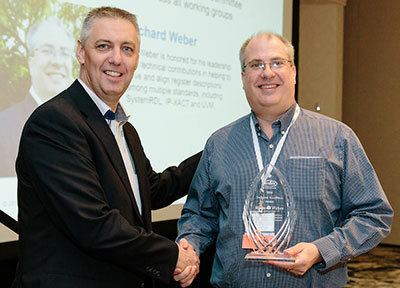 Richard Weber, CEO of Semifore, is the recipient of the seventh annual Accellera Technical Excellence Award. He was presented the award at DVCon U.S. 2018, where he was recognized for his technical contributions in helping to drive register descriptions among multiple working groups including SystemRDL, IP-XACT and UVM. The HOT CHIPS conference provides an opportunity for chip designers, computer architects, system engineers, press and analysts, as well as attendees from national laboratories and academia to mix, mingle and see presentations on the latest technologies and products. “Semifore was founded by designers for designers. Our technology is production proven and not only works with standards, but goes beyond them to provide a powerful alternative for dynamic and prolific SoC design." “Rich Weber is the go to guy for all things RTL. His experience and translation of RTL and specifications has enabled Semifore to build a compiler that is being used in a variety of applications by tier one customers. I believe companies would be well advised to take a look."